If you’re a reader of books, you want something that uses a miniscule amount of energy – hence better battery life, you want something extremely light and easy to hold in one hand, something easy on the eyes and ideally something that allows you to purchase books at a better price than if you picked one up from the local bookstore. While the iPad and really all other MID devices, tablets and netbooks have advantages with other use cases, they really don’t compete (yet at least) with the Kindle or even the Nook eBook reader for that matter. Size – The Kindle is really perfect for reading. You can hold it in a single hand, read in bed before going to sleep and easily slip it in your bag to carry with you. The iPad is heave and too big for this purpose. Battery Life – Everyone is raving about the Apple-expected, 10 hours of battery life. The Kindle lasts about a week on one charge. Wireless is free. The Kindle gives you lifetime, free 3G coverage while the iPad requires you pay a monthly $15 - $30 fee or use WiFi. WiFi is definitely an advantage though and an area where the Kindle must improve in its next version. The Kindle does one thing well – very well and that one thing is to be a vessel for reading. The iPad’s ability to act as an eReader is more of a “bonus feature” and the fact that Steve Jobs showed off the eBook features of the iPad later in the event as opposed to earlier tells that fact. 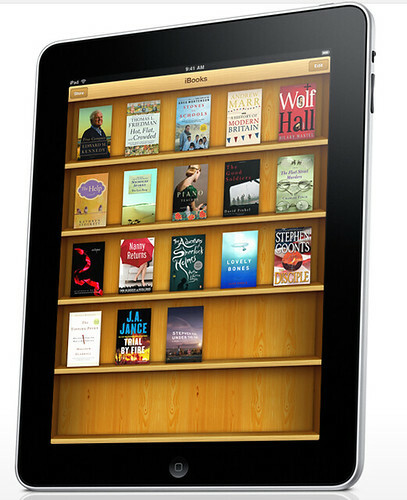 So what does the iPad have over the Kindle and Nook for the eReader functions? If you’re a casual reader or just want to read your Kindle books on the iPad you can do that – Kindle books are supported by the iPad as well as many other devices. I agree although I think Amazon’s goal is to make the Kindle compete with paper books, not with MID devices such as the iPad. What we should watch for is to see what Amazon does next. Will they drop the Kindle DX for something more like the iPad device? Will they announce a color and/or flexible screen? Regardless of the feature set, I’m betting the next Kindle hardware will be focused on being a good e-Reader, not a great app store vessel.